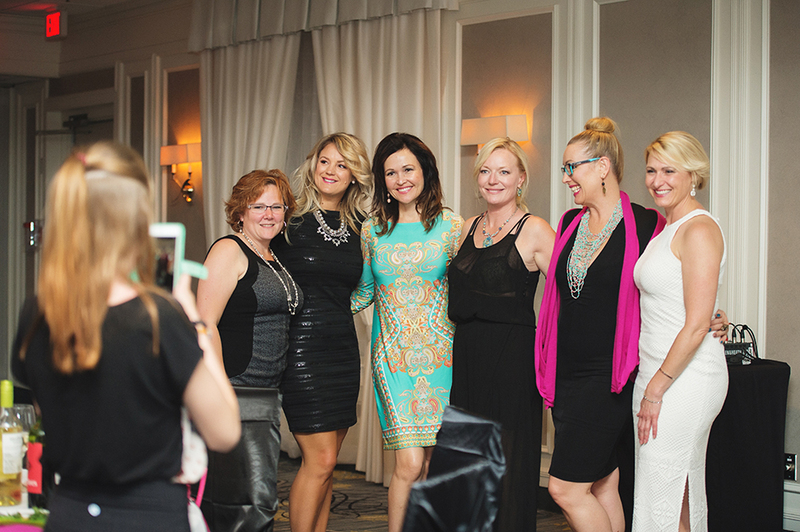 This year the Business and Professional Women of Saskatoon (BPW) hosted another whirlwind “Accessory to a Change” event at the Sheraton Cavalier on June 7. Raising money for their Educational Bursary Program, BPW supports mature and Indigenous women in our community by offering them financial assistance as they expand their knowledge with educational initiatives. 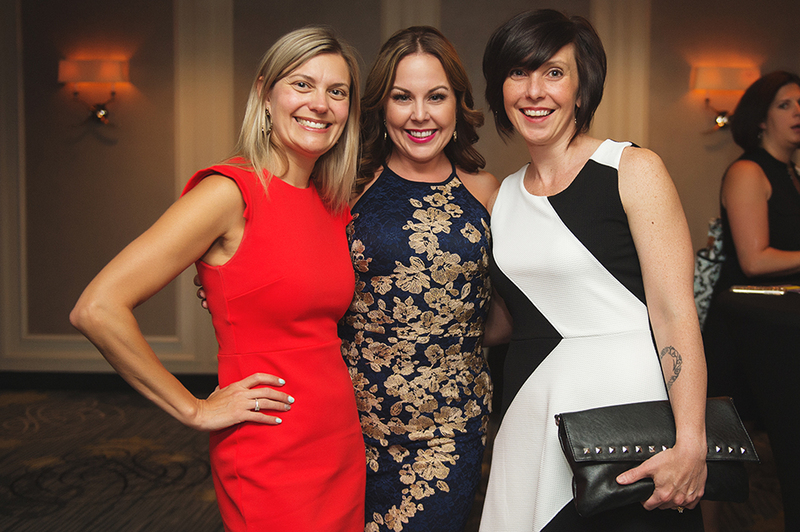 This year’s recipients Anna Hogue, Leanne Falkowsky Mazza and Kyla Richardson were honoured at the event — not only surrounded by peers, family and friends, but by a sisterhood that stood witness to their desire and strength in accomplishing their next greatest goals. The “sparkly soiree” started off with a complimentary flute glass spritzer offered to guests as a toast to the evening’s celebrations. 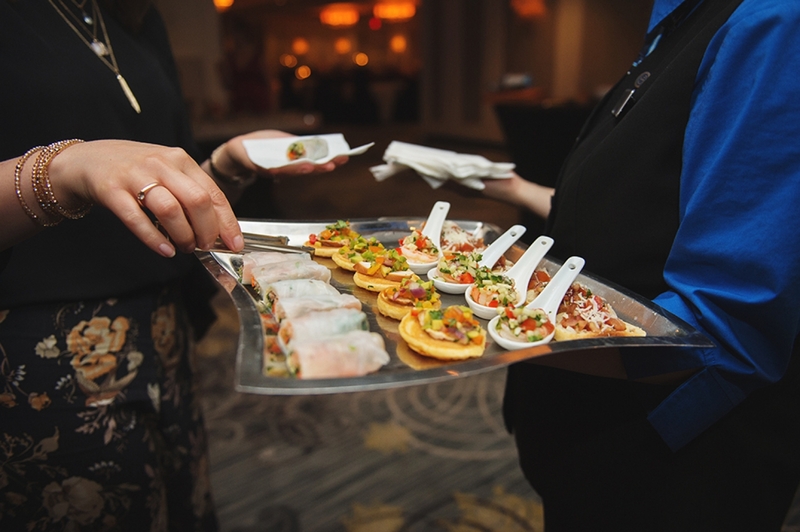 Attendees were then invited to visit a variety of food sampling stations — including an upscale poutine parlour, roast on a bun — with all the fixings, pad thai heaven and every vegetarians favourite — the fresh fruit and veggie station. The crème de la crème of the culinary experience was the chocolate fountain with every dainty imaginable. Let’s not discuss how many peanut butter marshmallow squares made it on my plate… moving on…. With the very animated Lana Wickstrom as MC and protector of the microphone, guests were encouraged to splurge as they wanted on silent auction items (two tables full) and tickets for draws including a vacation donated by Laura Balyski, jewelry from Hillberg & Berk and everyone’s favourite, the 50/50 draw. The evening’s program began with very warm applause for BPW’s Director of Fundraising and Accessory to a Change co-chair, Stacey Love, along with an impromptu happy birthday serenade for the ageless beauty. 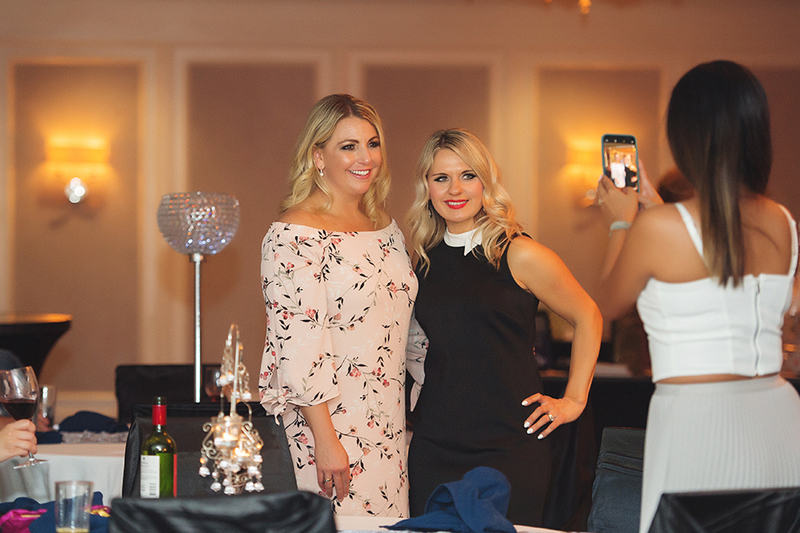 The event’s other co-chair, the phenomenal Jami Young, couldn’t hide in the crowd even if she wanted to as she was recognized for her contribution to the event and her work with many female leaders in the community. Also addressing the crowd was current BPW President, Caval Olson-Lepage, who expressed gratitude for the achievement of the event’s many committee members, organizers and volunteers. Caval also took the opportunity to “pass the torch” and introduce the next President, Krista Martens, who is BPW’s current Vice-President. With energy in the crowd growing, the excitement was undeniable as slam poet and powerhouse Zoey Roy made her way to the stage. Eyes widened, hearts expanded and minds were blown as she performed her lyrics with humour, conviction and soulful strength. Keeping the momentum going, the lovely lady who so many had been waiting the whole evening to see, Sara Agah Franti made her way to the front with that famous kind smile. With her words and presence creating change around the world, Sara talked about her early career as a nurse, the Do It For the Love Foundation she created with her musician husband, Michael Franti, and most of all, her desire to support, propel and lift her fellow females to become the leaders the world needs today. 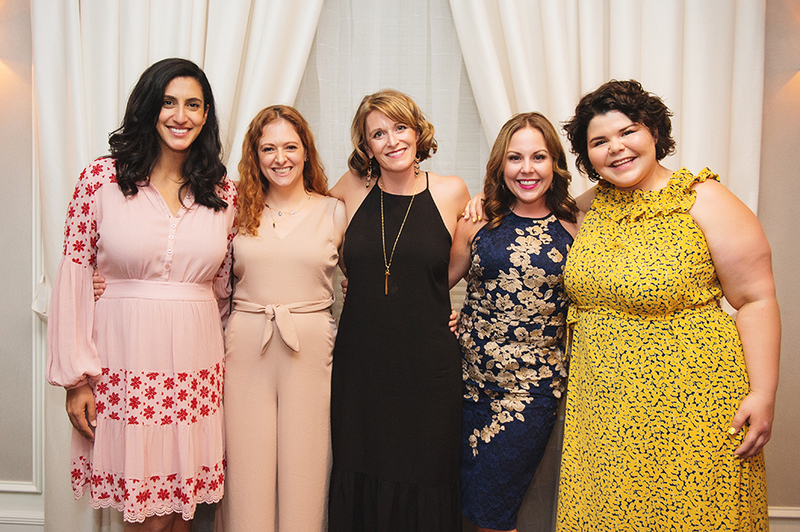 Because we all know, what the world needs is fearless females who aren’t afraid to shake the boat, create change and spread more love, and Sara is doing all of those things and more.